While many paths to parenthood play out over nine months, some women’s journeys see unexpected and inspiring twists. Take, for example, the story of Courtney Snowden. 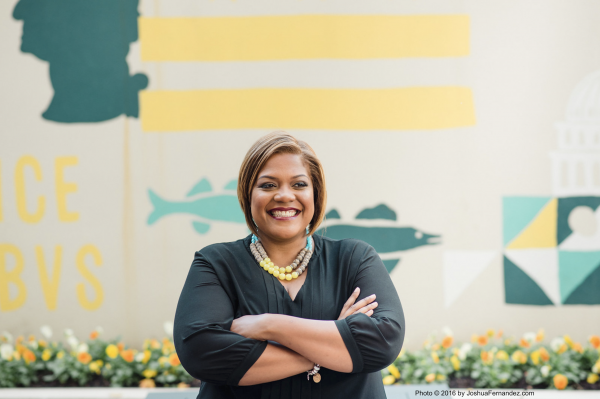 For the powerful Deputy Mayor in the nation’s capital city of Washington D.C., becoming a parent not only changed her life — but changed her life’s work. Some seven-and-a-half years ago, motherhood was the farthest thing from Snowden’s mind. As an accomplished, high-flying — and childless — lobbyist and political strategist, soccer games and sleepovers were not in her immediate orbit. Instead, hers involved a constellation of concerns centered on helping bluechip clients birth big ideas; Google, MasterCard, Microsoft, AirBnB and General Electric being part of her portfolio as a Principal at the progressive public policy firm, The Raben Group. But, as so often is the case, even the best laid course is no match for what is kismet. Though Snowden didn't know it, a baby boy was about to change her life forever. The journey began, as fate so often does, several years prior. Snowden’s sister is a teacher. At one point, the teacher taught, and later befriended, a young woman. That young lady became pregnant at age 14. With a heavy dose of compassion, Snowden’s family took the girl in, caring for her for several years. That young woman had a young nephew. His name: Malik. Witnessing Snowden and Malik’s unique bond, and likely sensing it offered a better life for the young boy, Malik’s family - including his mother and father - decided the boy would find a great home with Snowden. Snowden sensed the same. Eventually, she gained full physical and legal custody of Malik. He was only 18-months old, an unexpected gift of fate for a happy new mother. “It’s like the universe tapped me on my shoulder and said, ‘You have to take this child,’” Snowden fondly recalled. It was kismet, indeed. Today, Malik is a thriving, well-adjusted 9-year-old. Though Snowden now has two sons, giving birth to Maxwell in early 2017, the Deputy Mayor is clear on the profound impact motherhood has had on her. She explained how becoming a mom made her an even more passionate professional and, eventually, appointed city official. In 2014, Snowden ran for a City Council seat. She lost. Yet there was still a triumph. It’s a role perfectly suited to her experience, talents, and gravitas. 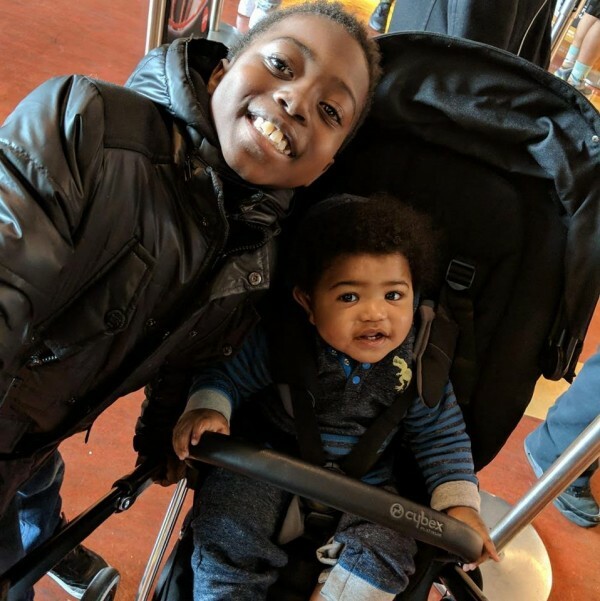 And yet her title of “Mom” also has positive bearing on her title as “Deputy Mayor.” While, by her own admission, she can’t adopt every child, Snowden is passionate about helping all the other children like Malik, and their families. From her perch, she has made a difference. Snowden is instrumental in driving a wave of positive change sweeping through the nation’s capital. Like a proud mother, Snowden beams at knowing that investment throughout the city, in all its wards, is creating opportunities for the nameless masses. “The headline for me is that I have been able to take all of my professional experiences, and some of my most profound personal experiences, and turn them into a perfect opportunity to support the people that I care about, most of whom are often forgotten,” Snowden said.